The rugged nature of the Maine coastline and of many of its islands is the result of the action of retreating glaciers back during the last ice age. Amazingly, there are over 3,000 islands off the coast of Maine, many of which are uninhabited, pristine, and incredibly picturesque. The islands are dotted with lighthouses, quaint Cape Cod-style towns and villages, and miles and miles of wooded trails for hiking or mountain-biking, while kayaking is a popular way of exploring the shorelines. Deer Isle is located in Penobscot Bay, off the Blue Hill Peninsula, and offers a haven for all outdoor enthusiasts, artists, photographers, and explorers. You can reach the island by road from the mainland by crossing a towering bridge built back in 1939 – just beyond the beach you will find the visitors center, manned by enthusiastic locals who can provide maps, trails, and details of local events. 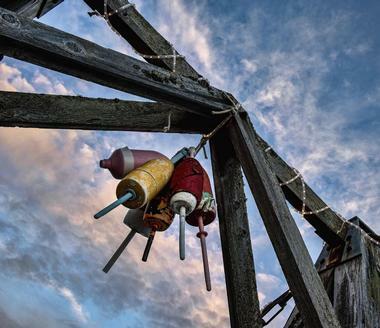 In addition to spending your time admiring the natural splendor of the island, there are also many galleries and studios to visit – Deer Isle has long attracted artists and crafters. 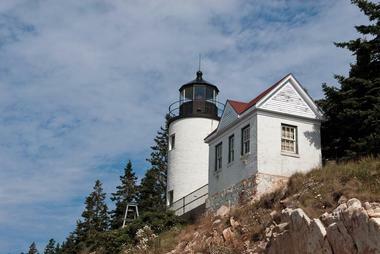 Other attractions include the Deer Isle Granite Museum and the Stonington Opera House. Located off the coast of southern Maine, Vinalhaven Island provides an interesting coastal destination for outdoor enthusiasts. Although the extremely cold water may put visitors off swimming (unless you bring a wet suit), you can spend many happy hours exploring the rocky shoreline, tide-pooling, or enjoying sunset walks. The island is surrounded by many smaller uninhabited islands, which you can visit by kayak – you can either join a kayak tour or set off on your own. There are 16 nature preserves on the island, where you can spend some time hiking and wildlife watching – the island is particularly popular with bird watchers, who come to spot the many varieties of marine birds. You can also take a swim in a quarry – the island was previously the site of extensive granite quarries. Bar Island is an uninhabited island that forms part of Acadia National Park, located across a tidal “bar” or causeway from Bar Harbor on Mount Desert Island. You can easily reach Bar Island on foot at low tide – you just need to be sure to check the tide schedule to avoid being cut off from Bar Harbor. Bar Island is beyond picturesque and is a popular destination for visitors who enjoy beach-combing, walking, bird and wildlife watching, fishing, trail running, and hiking. The whole family can enjoy the 1.8-mile Bar Harbor Trail, which offers beautiful Bar Harbor Views and lovely wild flowers in season. 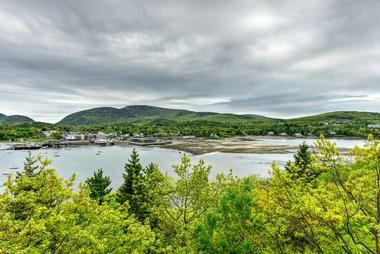 There are plenty of options for accommodation in and around Bar Harbor. Beautiful Chebeague Island has been a popular summer holiday destination for decades and is home to a small population of lucky year-round residents. 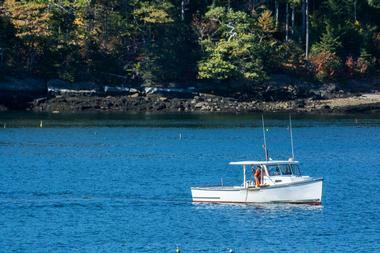 Chebeague is located in Casco Bay and is only accessible by sea using Casco Bay Lines. This delightful small island (just 3 miles by 5 miles) is best explored by bicycle – this will give you the opportunity to discover all the hidden beaches, coves, and inlets and get some exercise at the same time. Some of the must-do activities to add to your itinerary include crossing the sandbar to Little Chebeague from “The Hook” (be sure to check the tide schedule), have a picnic and do some beach-combing at Deer Point, spend a day on Hamilton Beach, and watch the sunset from Sunset Beach. 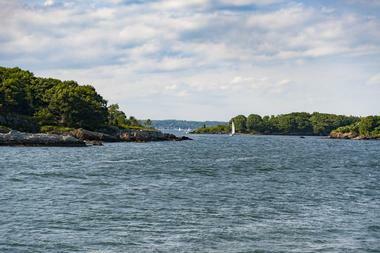 Island hopping in Casco Bay is a perennial favorite. Cliff Island is the smallest Casco Bay Island that is accessible year-round and is located at the end of the Casco Bay Lines ferry, about 2 hours sailing from Portland. Cliff Island has just 60 full-time residents and there is not a great deal on offer for tourists, but if it is peace, solitude, and coastal beauty that you crave, you will find it here. 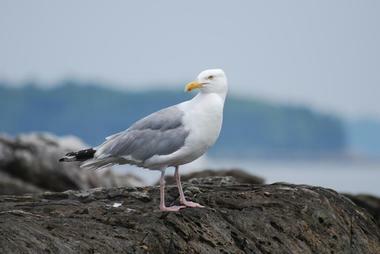 The main island activities inevitably revolve around fishing, boating, walking, bird watching, and cycling, and it is also possible to do a bit of island hopping using the Casco Bay Lines ferry to visit Long Island and Chebeague Island. Damariscove Island is an uninhabited island located around 5 nautical miles from Boothbay Harbor in Lincoln County. This tiny island is only 2 miles long and less than a half-mile wide and is perfect to explore on foot on a warm summer day. 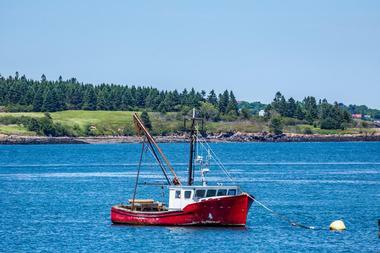 The only way to get to this historic island (Damariscove was the first island to be inhabited by European fishermen back in the 1600s) is by private boat – fortunately, boat rentals are available in Boothbay Harbor. Once you reach Damariscove Island, you can spend the day exploring around 3 miles of hiking trails, have a beach picnic, and spend some time bird watching – the island is a haven for numerous species of sea birds. Don’t miss the tiny museum, which explains the island’s history. Appledore is one of the nine Isles of Shoals, located less than 10 miles from Portsmouth Harbor on the coast of New England. The island is owned by the Star Island Corporation, which leases the entire island to the universities of Cornell and New Hampshire for their summer marine biology programs. If you would like to experience this beautiful island and learn all about the valuable work conducted by the marine laboratory as well as the history of the island, you need to sign up for an Explore Appledore Island Walking Tour, presented during summer by the University of New Hampshire. Your day trip to Appledore will be led by a university docent who will bring the interesting history of Appledore to life. Eagle Island is a National Historic Landmark located just a few miles off the coast of Harpswell, and was once the private island and summer retreat of the North Pole explorer, Admiral Robert Peary. You can visit the island in summer from 15th June to Labor Day; we suggest your start you visit at the Welcome Center, where you can watch a 10-minute movie about the life and achievements of Admiral Peary and pick up a free audio guide. Activities on the island include exploring the beaches and coves, hiking (trails only open after the 15th July to protect nesting sea birds), canoeing and sea-kayaking, fishing, and motorized boating. You can also visit the lovely garden, originally planted by Josephine Peary. Great Cranberry Island can be reached by boat in around 30 minutes from Mount Desert Island and offers visitors a relaxing area for walking, cycling, and other island pursuits like beach-combing, tidal-pooling, canoeing, kayaking and motorized boating. The best way to explore Great Cranberry Island is by bicycle or on foot – there is a downloadable walking tour map – and you also have the option of using the (free) Cranberry Explorer Shuttle. You can have lunch at the Seawich Café or Hitty’s Café, visit the Cranberry House Historical Museum, and do some shopping at Whale’s Rib Gifts and Gallery. Although there are no lodgings on the island, there are some rental properties you can hire if you fancy a longer stay. Great Diamond Island is a private island located in Casco Bay off the coast of Maine and forms part of the city of Portland. 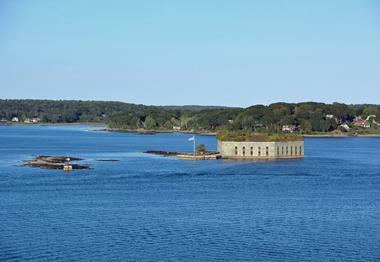 You can only access the island by private boat or ferry, using Casco Bay Lines. Visitors looking for a quiet and peaceful place to simply relax and enjoy a coastal holiday can rent a cottage on the car-free island, but there is very little tourist infrastructure and you will need to create your own activities. You can enjoy walking and hiking, fishing, and wildlife watching or spend time on the waters using a motorized boat, sea-kayak, or sailing boat. If you do get bored, you can always hop on the ferry and be back in Portland in 30 minutes for some retail therapy. Great Duck Island, together with Little Duck Island, is located in the Gulf of Maine and forms part of the town of Frenchboro on the coast of Maine. Great Duck Island is a marine bird sanctuary owned by the Nature Conservancy and is not generally open to the public. 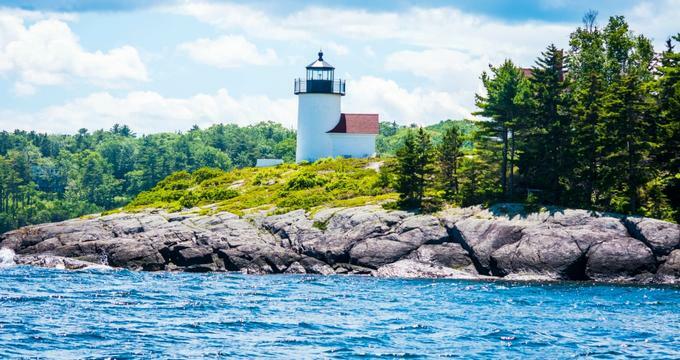 If you would like to see Great Duck Island, you have limited choices – Bar Harbor Whale Watch Co. offers a Lighthouse and National Park Tour in summer, which includes Great Duck Island. Alternatively, you could rent the entire island and spend a week of perfect solitude in the one and only vacation rental on the island. You would then have the freedom to explore the beaches, coves, bird sanctuary, and lighthouse – a water-taxi transfer from Frenchboro will be arranged for visitors renting the property. Owned by the Nature Conservancy, Great Wass Island is an ecological gem located at the eastern-most landmass of Maine, jutting into the ocean where the Gulf of Maine and Bay of Fundy meet. Great Wass Island is a great destination for hikers and nature enthusiasts and can be visited on a daytrip without having to use a boat – there is a causeway connecting the island to the mainland. There are three very scenic trails for you to explore, varying between 2.3 miles and 4.5 miles, but conditions can be quite challenging due to the terrain and you should allow more time than you would normally allocate to these short distances. Your exploration will show you some unique vegetation, beautiful coves, and pink granite cliffs. If you have ever dreamt of playing Robinson Crusoe on a remote island, then Hermit Island Campground could be exactly what you are looking for. Hermit Island is located on a peninsula jutting into Casco Bay at the southern tip of Phippsburg and offers visitors the chance of a lifetime to experience the pleasures of camping right beside the sea. Activities on Hermit Island are centered on the natural beauty of the location and include boating (boat rental on site), fishing, swimming, beach-combing, and hiking. There are several hiking trails to be explored, one of which follows the coastline and offers the chance to discover remote and quiet beaches and coves. Your campsite has a firepit and there is a basic camp store on site, where you can buy supplies. Hog Island is located just 0.6 miles from Naskeag Point in Brooklin, Maine, making it easily accessible by boat from the mainland. 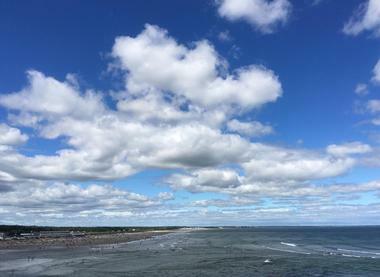 The island is owned by the Maine Coast Heritage Trust, which encourages outdoor enthusiasts to come and enjoy a day of exploration and beach-combing on this compact island. 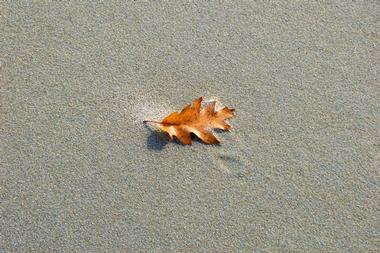 There are six or seven sandy pocket beaches where you can enjoy the sun, swim, kayak, and picnic. If you would like to spend a night or two camping in this quiet and remote location, you can pitch your tent at the campsite located at the isthmus, which connects the north and south lobes of the island – you will need to bring (and carry out) everything you need for a day or overnight visit. 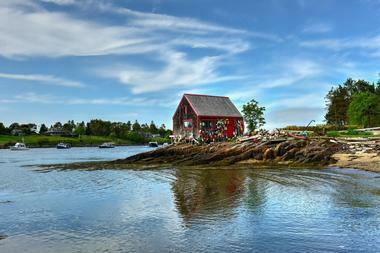 Isle Au Haut is an exceptionally scenic island located off the coast of Stonington, Maine. 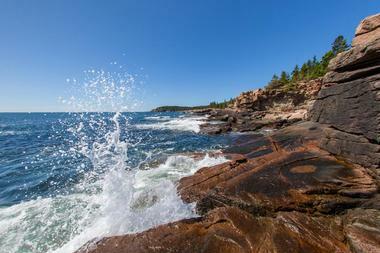 About half of the island belongs to Acadia National Park and offers day visitors a beautiful natural setting for fishing, hiking, and cycling. Cyclists have 5 miles of paved roads and over 7 miles of rough mountain biking trails to enjoy, while hikers have access to no less than 27 miles of trails. You can choose to hike around the southeastern perimeter of the island to explore the rocky shoreline and uncover hidden coves and beaches, or head inland along the Long Pond Trail to find a beautiful freshwater lake. If you would like to stay overnight, you can book one of the five seasonal campsites. 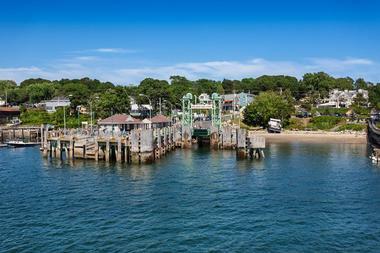 Access to the island is via the passenger ferry from Stonington. Jewell Island is another of Casco Bay’s many beautiful islands that can be easily explored on a daytrip out of Portland. The uninhabited island lies about 8 nautical miles from the mainland and is easily accessed by boat or even by kayak. You can anchor your boat in Cocktail Cove, which forms a natural harbor on the northwest shore of the island and provides easy access to the island’s hiking trails and Punchbowl Beach on the northeastern shore. The entire island is a great destination for hiking, fishing, swimming, kayaking, and wildlife observation in a pristine setting. You can also spend some time exploring the crumbling military structures, which were used during both world wars. There are several campsites and toilets dotted around the island for overnight visitors. Accessible in about 30 minutes (by private boat, ferry, or water taxi) from Mount Desert Island or Northeast Harbor, Little Cranberry Island is a delightful destination for day-trippers or vacationers. Not only will you find miles of deserted shoreline for beach-combing, swimming, and kayaking but there are also some interesting walking trails (a downloadable map is available) and a wonderfully relaxed island atmosphere. Rainy days offer the perfect time to visit the Islesford Historical Museum to see relics of island life from the 19th and 20th centuries, or explore the Islesford Pottery and the Islesford Artists Gallery. 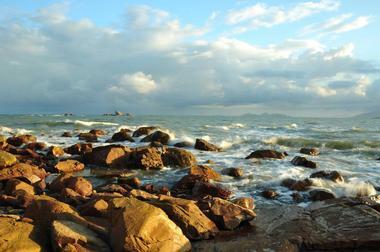 There are several holiday rental cottages available if you wish to linger for a while and enjoy the island lifestyle. Connected to the city of Falmouth by a causeway, Mackworth Island is a great place to come and spend a day surrounded by nature. Outdoor enthusiasts of all ages (including four-legged friends) can spend a few hours exploring beautiful beaches and admiring some of the best views of Casco Bay you are likely to find anywhere along the coast. 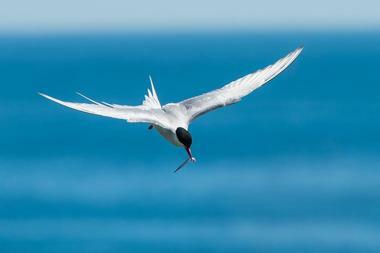 The entire island is a bird sanctuary and is a hotspot for viewing a wide variety of both marine and shore birds. 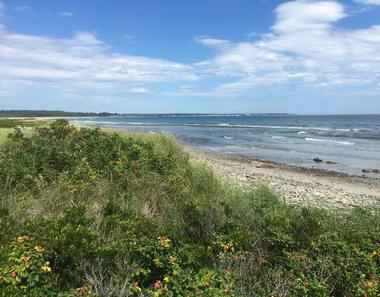 You can take a very pleasant 1.5-mile coastal walk around the perimeter of Mackworth Island in around an hour and enjoy a picnic on one of the pristine beaches. Lying directly across the sea from Monhegan Island in Lincoln Country, Manana Island is currently a seldom-visited uninhabited island. History buffs and marine enthusiasts may like to visit the island to see the historic Manana Island Sound Signal Station, which dates back to 1854, when an enormous bell was hand-rung to warn sailors of the treacherous rocks during foggy conditions. You can reach Manana Island by boat from Monhegan Harbor and take a walk around to see the ancient fog station and what remains of the house once inhabited by Ray Phillips, the Hermit of Manana. 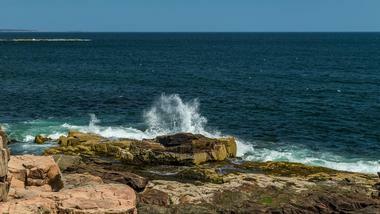 When you return to Monhegan Island, you will find several great hiking trails and some good places to eat a lobster roll, the regions’ favorite meal. 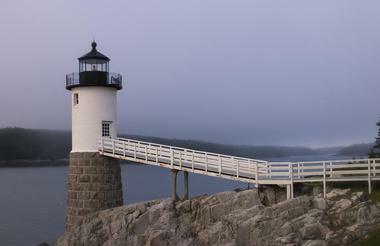 Connected to the mainland by an inconspicuous bridge, Mount Desert Island is the largest island off the coast of Maine and is home to Acadia National Park and Bar Harbor, one of the most popular seaside towns in Maine. There is a great deal to do and see on the island, but traffic can be hectic during the summer season and visitors are urged to leave their vehicles at Bar Harbor and use the free shuttle to get around the island. There are wonderful hiking trails to explore, including the Beehive Trail, Precipice Trail, and the beautiful Shore Path. For a change from walking and hiking, you can hop aboard a Sea Princess Cruise, go kayaking and canoeing, or join an Acadia Lobster Cruise. Peaks Island is located off the coast of Portland and can be easily accessed in about 20 minutes on the Casco Bay Lines ferry. The island was once an important WWII outpost, but today it is a sleepy little coastal town that attracts artists, retirees, and some Portland commuters. Once you arrive at Forest City Landing, you can get your bearings by hopping aboard an Island Tours golf cart or set off on foot, bicycle, or kayak to explore the island. There are plenty of good places to stop to admire the views and have a snack or a meal. Peaks Island is a great family-friendly destination and there are a handful of unusual museums, shops, and galleries to explore on rainy days. The small uninhabited island of Saint Croix lies near the mouth of the Saint Croix River, close to the border of Canada. The island’s claim to fame is that it was the site of an early colonization attempt by the French back in 1604, and you can learn all about the interesting 400-year history of the island by visiting the Saint Croix Island International Historic Site on the mainland in Calais, which directly overlooks the island. Unfortunately, the island itself is no longer open to the public (in an attempt to protect its fragile ecology) and all remnants of the early French occupation have long since been removed. At the Historic Site, you can follow an interpretive trail and attend ranger-led talks. Picturesque Southport Island is located at the tip of Boothbay Peninsula, connected to the mainland by a swing bridge at Townsend Gut in the Sheepscot River. Here you will find quintessential New England charm – characteristic colonial Cape Cod houses, small country stores, and winding roads just begging to be explored on foot or by bicycle. You can visit lighthouses, do some beach-combing, and explore the beautiful peninsula and the sheltered waters of the Gut by canoe and kayak. 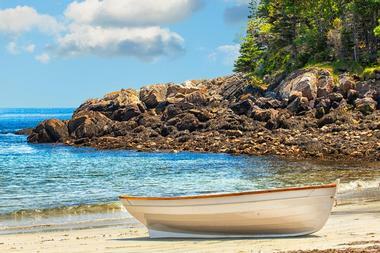 Come for a day to picnic and hike or book one of the rental cottages for a truly laidback Maine vacation. Be sure not to miss the fresher-than-fresh lobster and other seafood at Robinson’s Wharf. 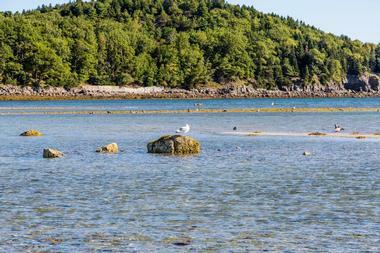 Squirrel Island (named for its shape) is a closely guarded secret escape located off Boothbay Peninsula. 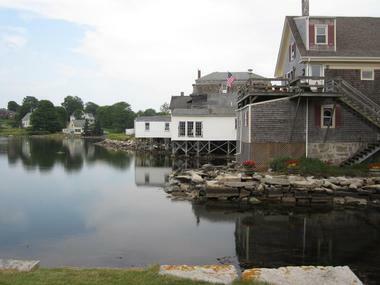 You can reach the island by private boat or take the Balmy Days Scenic Harbor Tour, which leaves from Boothbay Harbor. The island has no restaurants or stores, so it’s a good idea to bring along some drinks and snacks. You can walk around the perimeter of the island to discover beautiful beaches and coves or head off into the interior to explore the wooded southeastern section of the island. There are beautiful views of the Boothbay Peninsula from just about everywhere on Squirrel Island as well as plenty of lovely places to rest and have a picnic. Bailey Island is located in Casco Bay off the coast of Maine, forming part of the coastal town of Harpswell. 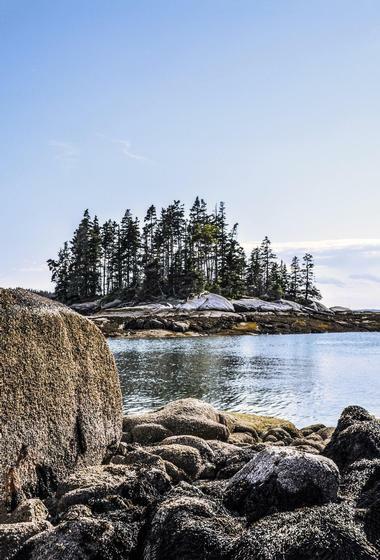 On this remote island, you can find the true essence of coastal Maine as you explore endless coastal pathways, hiking trails, beaches, working coves, harbors, and inlets. 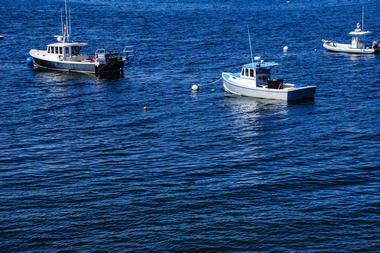 Mackerel Cove is probably one of the prettiest harbors in Maine, offering the sight of dozens of lobster boats. Apart from exploring the island on foot, you can go diving, kayaking, fishing, sailing, and cycling or join a lobster boat tour. You can take a day trip from Portland to Bailey Island with Casco Bay Lines, or drive there from the mainland across the unique and historic Bailey Island Bridge. Stock up on classic Maine souvenirs at Land’s End Gift Shop and feast on the freshest-ever lobster at Cook’s Lobster and Ale House.